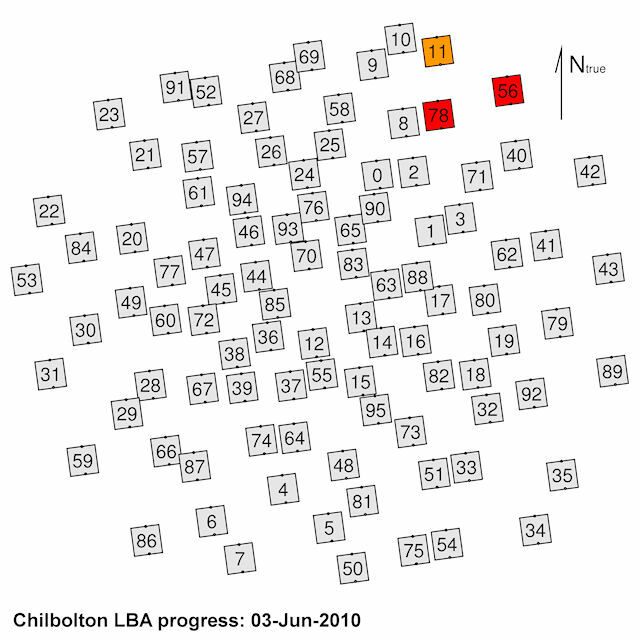 As a way to track the LBA installation we're planning daily updates of the number of antennas completed. 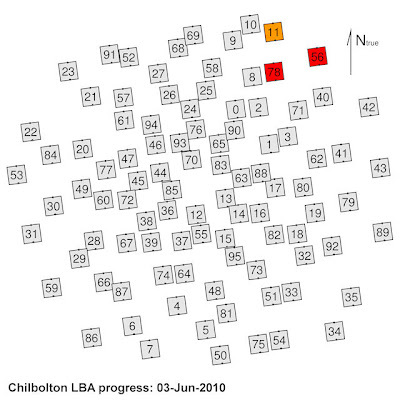 Every day we will post a new version of the schematic shown below where completed antennas will be coloured in - using rainbow order to illustrate the time sequence. As you can see, at present there are three LBAs in the field - two done during "Lieutenant" training last week (shown in red) and one more which was put up today as a final check of the procedure (coloured in orange).